The Immortal Life of Henrietta Lacks is an unbelievable story that happens to be true. In the 1950s, a black woman was dying of cervical cancer. She went to Johns Hopkins hospital for treatment in their segregated ward. While receiving treatment, part of her cancerous cervix was cut and kept by a doctor. The cells of this cutting were observed and found to be…wait for it…immortal. It is not a joke. Those cells are still alive today and are known as HeLa cells. They are alive and multiplying. And HeLa cells have been the basis for many of the cures that we know today such as polio and invitro-fertilization. But the family of the woman, whose cells were used and re-used for generations, did not know and did not consent. For that matter, the woman herself, one Henrietta Lacks, did not consent to have her cells researched. She may have said yes, had she ever even been asked. 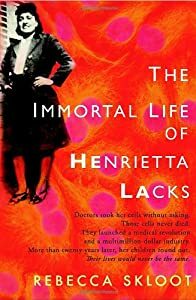 This book traces the facts and the people surrounding the discovery and use of the famous HeLa cells, but most importantly, this book tells Henrietta’s story. The book begins by telling the reader that everything in it is true. That is a daunting statement, but it is verified throughout the book. Many times a true story lacks the flourish of a fiction, but that is not the case with this book. Not only will “cell culture” be revealed to the reader, but also a tender rendering of Henrietta and her family. Her family is fully-fleshed as characters with flaws and compassion and most of all, humanity. This book is a compelling read and should be something anyone who has benefited from HeLa cells should know about. As promised, here is my second guest post! Shannon is a mother, wife artist and teacher. 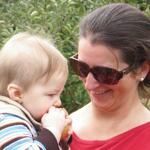 She blogs about maintaining an attached parenting style while working full time on her blog The ArtsyMama. She also contributes to Natural Parents Network and Everything Cloth. I first read this book a few years ago and I thought to myself – this will be a book I share with my children. I was struck by the honesty and feeling with which this book was written. The premise of the book is that the author Randy Pausch is dying and wants to share what he learned in life with his children. The book stemmed from the last lecture he gave at Carnegie Mellon where he was a professor. He gave his lecture to his students and the faculty there at the university but the real “head-fake” was that the lecture was actually for his children who were too young at the time to understand what was going on or to understand the lessons he wanted to share with them. The author frames his message through his childhood memories. He discusses the plans he made as a child and what he did with those plans. 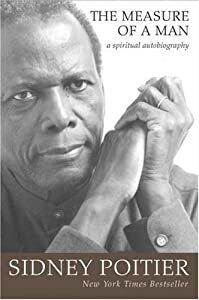 If you are looking for a book that touches on the spectrum of human emotion and is reflective of a life well lived, though cut short – pick up this book. The book also has a companion website. 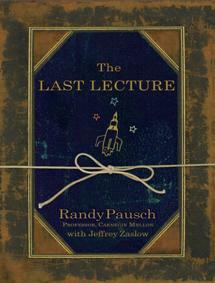 The Last Lecture is available on Amazon.com in hardcover , paperback , Kindle edition and audio book formats. Nancy Mitford is probably best known for her novels The Pursuit of Love and Love in a Cold Climate , but recently relatives of Mitford’s have permitted some of her lesser-known novels to be reprinted. One such novel is Wigs on the Green. During Mitford’s lifetime, it was not reprinted because of a family falling-out regarding its characters who were obviously based on Mitford’s own family. The most controversial character is Eugenia Malmains, the wealthy, lovely and eccentric heiress whose current hobby horse is “social unionism” which essentially is Nazism wrapped in a Union Jack flag. When Mitford was writing Wigs on the Green in the mid 1930s, her sister Unity had essentially joined the Nazi party. The novel Wigs on the Green offers a surprising glimpse at the attitude in England towards Germany pre-WW II and before Germany’s Nazi movement escalated to the horrors modern people associate with it. That said, Wigs on the Green is a humorous read. Nothing, not even Eugenia’s Union Jack movement, is taken seriously. Mitford again offers such spectacles of humanity like Mrs. Lace, the local beauty bent on greatness and filled with drama, or Jasper Aspect, the charming gentleman without funds who spends his days mooching off his friends and seeking out pleasure. One could easily see a Mrs. Lace or Jasper Aspect in modern-day life. 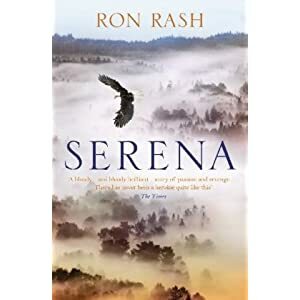 The action of the book takes place over the course of a few weeks when Noel Foster and Jasper Aspect decide to head to the sleepy town of Chalford to pursue an heiress, Eugenia. Eugenia, being consumed with the Union Jackshirt movement, quickly proves only amusing for her antics and not marriage-material. The action continues when two women come to Chalford one escaping an unwanted marriage with a duke and the other escaping a would-be adulterous husband. When Noel encounters the beautiful Mrs. Lace, they embark on one of the novel’s most ridiculous love affairs. The true entertainment of the novel culminates in a garden party gone awry, which is where the name Wigs on the Green comes from. Mitford has created a charming, eccentric world that would be perfectly delightful to read, yet is somewhat jarring to a modern audience because of its references to “social unionism”. Still, Wigs on the Green is a character-driven, funny novel that shouldn’t be left on the shelf because of its lack of political correctness.